For those of you who are not Familiar with the game Sine Mora, well it was a game that was released back on the Xbox 360 way back in 2012, with the game being a pretty decent if my memory serves me correct. I did review it at the time, but sadly that review seems to either have been deleted or lost when we moved sites at my other place of writing. But anyway, we are going off track here. 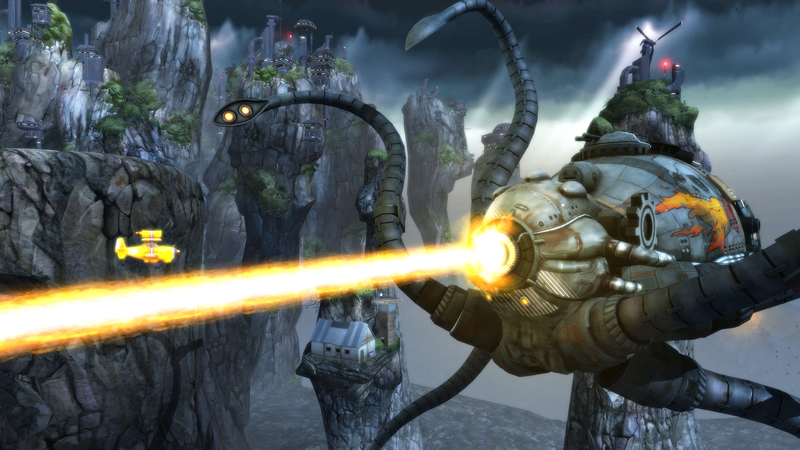 Sine Mora EX is slated for a Summer release on a bunch of formats (including the Xbox One), and looks to be a remaster of the original game with a few new perks added to it. The website for the game lists things such as the game offering local co-op for up to 2 players in Story mode, three New versus modes called Race, Tanks, and Dodgeball, New challenge levels, and also Improved Rendering. However, going through the website and old 360 listing I did notice a decrease in how many weapon combinations there would be in the game, with the original game offering 60 and this new EX version offering only 50. Other than that the game will still offer the same action packed shoot em up fun that you can see in the trailer below.